Writing an introductory paragraph is easier than it may seem. The key to a successful intro is knowing the components that go into it. Much like a watch has components that, when put together, make it work properly, an introductory paragraph must have its own individual components for it to work. The first step needed is to create a topic sentence. Your topic sentence should foreshadow the rest of the essay by telling the reader the main idea of your paper. 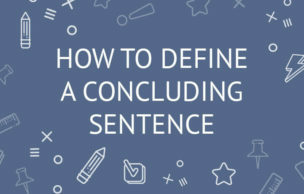 The topic sentence should also capture the reader's attention or "hook" them into your essay. You want to give them a reason to continue reading. You can accomplish this by starting off with a quote, questions, or breaking a social stigma with an interesting fact. If for example, you are writing an essay about coffee, then you may start it off like this: "Half of Americans are drug addicts as caffeine has become the most widely used drug in the world." 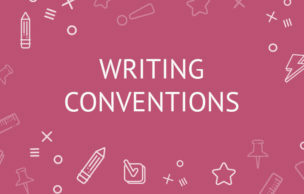 Another way to compose a topic sentence is to separate your individual ideas. For example, "Coffee is an addictive drug because it stimulates the nervous system, causes increased alertness, and can be addictive." This allows you to create paragraphs around these ideas and lets the reader know what lies ahead. Leading off the topic sentence, you should now tell the reader a little more about the essay. This is a fine line, as you don't want to give too much away. Briefly describe your topic without going into any details that will be discussed in your body paragraphs. For example, leading off of our first topic sentence example you might want to say "Half of Americans are drug addicts as caffeine has become the most widely used drug in the world. With shops such as Starbucks popping up on every corner, coffee has been pushed into the limelight. Due to its growing popularity, many people have become dependent on coffee to get through their day". Lastly, you'll want to close your introductory paragraph. This sentence should both tie up your topic and act as a transitional sentence that leads into the next paragraph. If you wanted to lead into a paragraph describing the addictive nature of coffee, you might say "As more people are becoming dependent on coffee, caffeine has positioned itself as an addictive drug." Don't forget throughout your writing to add buzz words that can convey your argument in a better ways. For instance, "I want to tell you about the coffee industry" could be turned into "Let me paint you a picture of the coffee industry." Be careful not to overdo this as too many buzz words can make it harder for the reader to understand your argument. Following these easy steps will not only make things easier, but help you order your thoughts to write better essays. And that is what, essentially, helps you get high grades!